The Health & Wellness Department offers many healthy opportunities for students, school families, faculty and staff, as well as the community. BOKS is a free program open to students in grades 1st – 5th at HHCA. Students participate in this nationally recognized fitness program twice a week; with the intent to provide children with an additional exercise outlet. The mission of BOKS is “to promote the profound impact of physical activity on a child’s mind, body and community”. BOKS is powered by communities and empowers parents, teachers, schools and local volunteers to give kids a body and brain boost that will set them up for a day of learning. 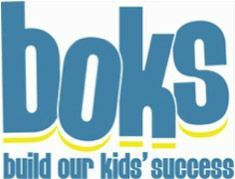 HHCA is pleased to partner with BOKS to offer this program to our school families. Girls on the Run is a transformational physical activity based positive youth development program for girls in 3rd-8th grade. We teach life skills through dynamic, interactive lessons and running games. The program culminates with the girls being physically and emotionally prepared to complete a celebratory 5k running event. 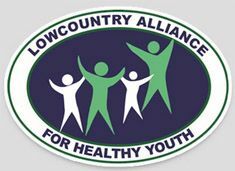 HHCA supports the mission and vision of the Lowcountry Alliance for Healthy Youth in promotion of positive choices for our youth. More information is available on their website by clicking the logo below. Special thanks to HHCA's graphic design students for designing and providing most of the images you will see on LCAHY's website.